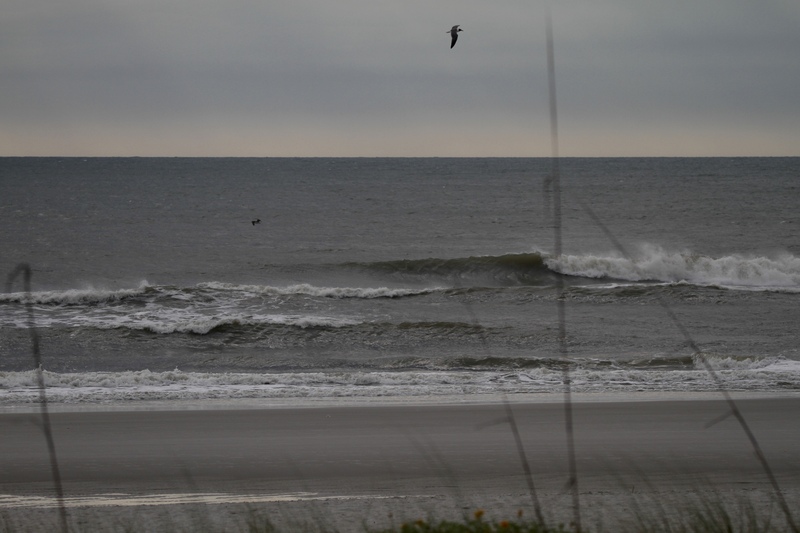 Knee to thigh high range surf continues this afternoon at the Pier. The tide is low but will start filling in later this afternoon and the wind has come onshore. It’s not much but it’s still not completely flat.